Pastiche formed with it’s very first production in January 1997 when Jean Hobson and Jean George decided to create a one off production of Sandy Wilson’s “The Boy Friend” with the proceeds going to the British Heart Foundation, beginning a tradition of donating proceeds from our performances to local and national charities and organisations which is still proudly upheld by the company to this very day. 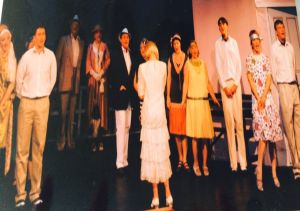 “The Boy Friend” was Pastiche’s first performance and opened at The Compass Theatre in Ickenham on Tuesday 21st January 1997. 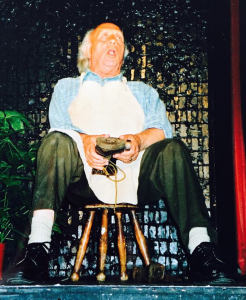 This performance was the start of a relationship with The Compass which is now twenty years old and has led to the company staging over 150 individual performances at the theatre. We staged our 40th production on the Compass stage in March 2017. A pretty remarkable achievement! The success of “The Boy Friend” encouraged the company to stage another production, which it did with “Salad Days” in 1998. We staged our first concert “Showstoppers” in the summer of 1998 and ever since, we have staged a full musical and a concert each year. In the first twenty years of our existence, Pastiche raised an incredible £55,000 for over thirty different organisations and charities based locally and nationally – supporting causes from Alzheimer’s to Great Ormond Street. We choose the organisations we raise funds for as a group and in most cases, the organisations are close to one or several of our member’s hearts. 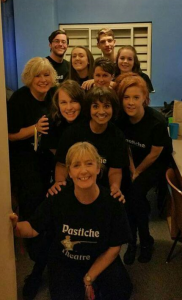 Pastiche prides itself on being a friendly group with a strong sense of fun and support for each other. Approximately 20% of our membership have been with the company since day one and at present we have not only families with two generations involved we even have three generations of one family as part of the group! 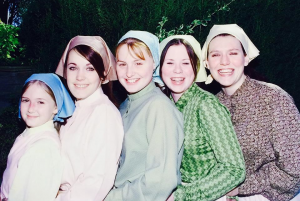 Several of our members joined when they were children and have grown up with the company in some cases going on to study musical theatre or performing arts at college or university. After celebrating our 20th birthday in 2017 with our record breaking production of ‘Hello, Dolly!’, the company are looking forward to future decades raising funds for worthy causes. Pastiche is affiliated to the Hillingdon Arts Association.